Rather than listing in a point, It will be better, if we use for listing, showing some important information through table. But What if, we are using blogger or wordpress or anything website designing platform and we are also a beginner of that platform. It will be difficult to create a table using Html, php or any other code. 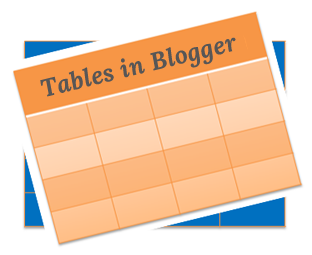 Today I am sharing with you all, How can we create a table in blogger or any other platform easily? Yes we can easily create a table using microsoft office package like word, excel etc. First open Microsoft word or Excel. Now create a table and fill up it with necessary content. Now Select the table and copy as shown in the picture below. And paste it to the blogger or any other platform. You can also copy the excel content with table with same process. Finally you will get table like this.